No, Roger Clemens is not in George Steinbrenner’s box. 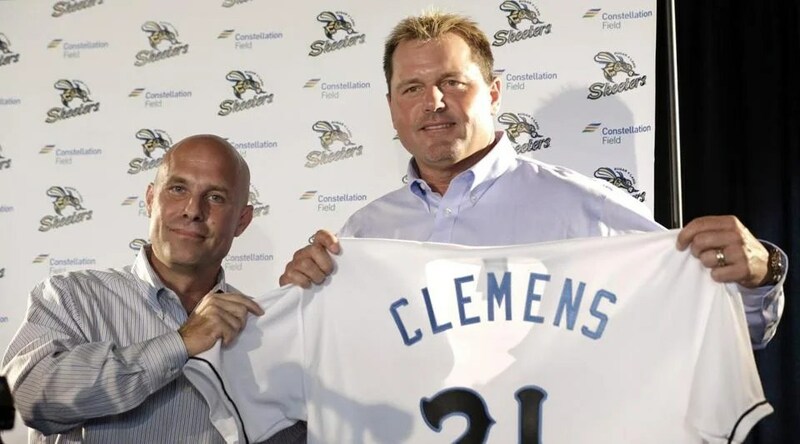 This time, 50-year old Roger Clemens will be making a start for the Sugar Land Skeeters of the Atlantic League. The start is scheduled for Saturday, August 25th. Clemens claims that he’s playing again to stay in shape, but you never know. 1) Delaying the Hall of Fame vote:If he plays one major league game then his hall of fame vote will be delayed by five years. Delaying the vote for five years may be enough time for voter’s minds to change about Roger. 2) Proving his Innocence: Roger might figure that if he can show that he can play at 50, presumably without PEDs then why is it so difficult to believe that he played at such a high level during his career? If Roger can still get batters out at 50, then could he be innocent? 3) Staying in Shape: Who wouldn’t want to keep in shape by playing a kids game? When you are arguably one of the greatest pitchers of all-time you have a ball diamond at your disposal instead of a treadmill in your basement. Can’t believe all of the press he received. Never liked his giant ego~ or him for that matter!